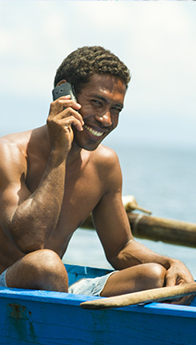 Timor Telecom opens roaming and SMS with Vodafone, New Zealand. Timor Telecom opens roaming and SMS with Digicel, FIJI. Timor Telecom opens roaming and SMS with New Zealand Communications, New Zealand. Timor Telecom opens roaming and SMS with VIVO, Brasil. Timor Telecom opens roaming and SMS with Cubacel, Cuba. Timor Telecom opens roaming and SMS with Vodacom, South Africa. Timor Telecom opens roaming and SMS with AKTEL, Bangladesh. Timor Telecom opens roaming and SMS with Médi Telecom, Morocco. Timor Telecom opens roaming and SMS with Hutchison CP Telecom, Indonesia. Timor Telecom opens roaming and SMS with UNITEL, Angola. Timor Telecom opens roaming and SMS with Smart Communications, philippines. Timor Telecom has available the new services for fixed line without monthly or activation fees. Timor Telecom Internet Service Announcement - SPYWARE AND ANTI VIRUS WARNING!